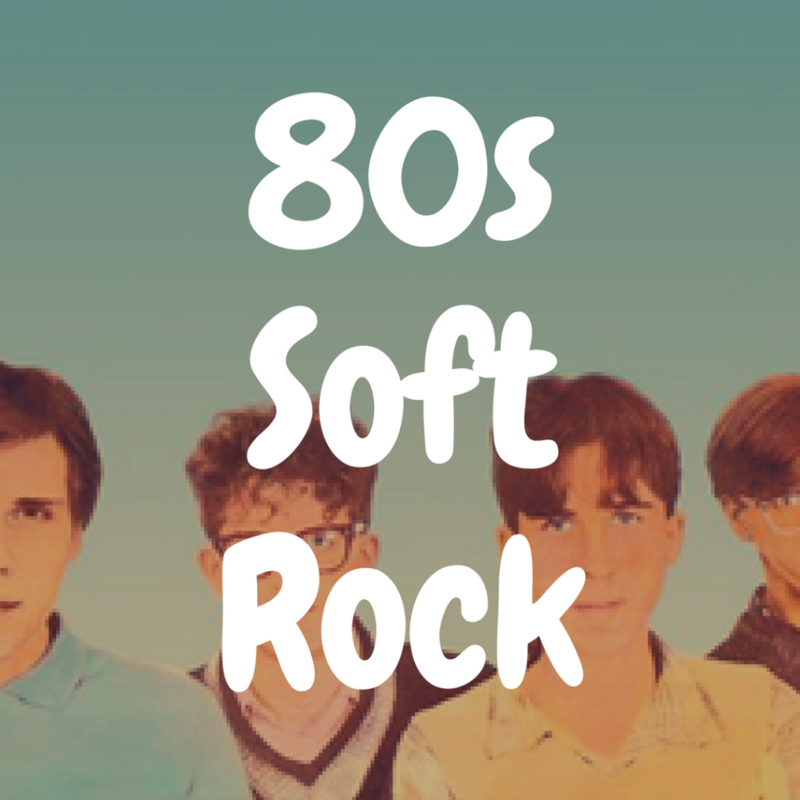 Soft rock is ordinarily recognized as a collection of rock sounds such as consistent guitar, soft drums, a steady voice, and a great bass line. After coming out of the 70s, a decade full of highly rebellious music exploding from each corner of the globe, soft rock was finding its place in the world with many faces. Rock music was evolving in many different areas, causing the genre to expand into an ocean rather than a narrow pool consisting of simple beat bands with no lyrical significance. 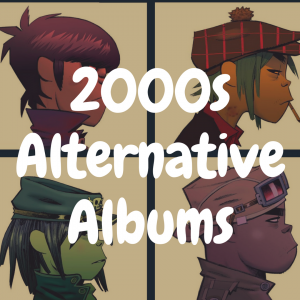 These albums are home to the voices of revolutionary statements on society and intellectual arguments, devastating childhood trauma, and an excessive use of imagery to accentuate thoughts to their furthest potential. So in this article, we’re going to countdown the best 80s soft rock albums that everyone should own on vinyl. So let’s get started! 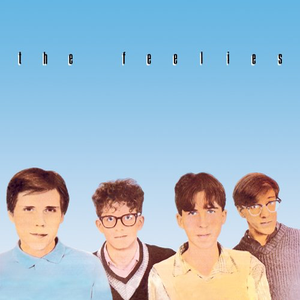 Quite literally submerged in their senses with shoes and sandpaper, The Feelies created a rare gem named “Crazy Rhythms,” a modern, upbeat “Pet Sounds” by the Beach Boys, cloaked in an alternative sound. One sunny afternoon as Bill Million was passing through his soon-to-be bandmate Glenn Mercer’s neighborhood in New York, noticing his garage belting out The Stooges. Though it was easy to tell Million was tripping on acid, they both found plenty in common and decided to play music together. Later down the line, bassist Keith Clayton and drummer Anton Fier joined in, bringing the band’s sound to their fullest potential, as well as their unique rhythmic virtuosity. The entire band recording this album using a plethora of instruments, such as tom-toms, cowbells, a pipe, acoustic and electric guitar bass, a keyboard, as well as claves, maracas, castanets, a woodblock, snare and snare drum, shaker, and temple blocks. They also incorporated shoes, a box, a coat rack, and sandpaper into a few of these tracks as well. Innovative and compelling, the melodies wrap around one like the waves of the ocean after a long day of surfing; comforting, but exciting enough to keep one jumping all over. The band’s fast-paced lyrics and sounds shaking everything around and nibbles at one’s toes, casting this as a rare find at nearly any record store nearby, as only German LP’s are available. 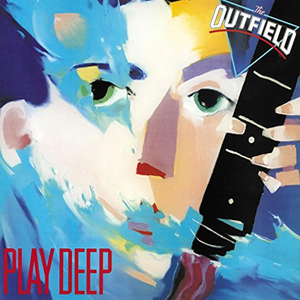 We are all familiar with the jazzy upbeat number from The Outfield, “Your Love,” due to all the movies and baseball games we’ve been to. During the 80s, there was so much versatility and recognition between and within genres, that it became extremely easy for this American rock band to test combinations of musical variety without a fear of true and utter failure. After a short period of time, “Play Deep” was born, shaking every pop junkie in town. John Spinks (guitar and vocals) and Tony Lewis (bass and vocals) have clairvoyant, declarative, clearly masculine vocals, yet able to consistently reach a high note with a steady fixation on keeping a loving tone. 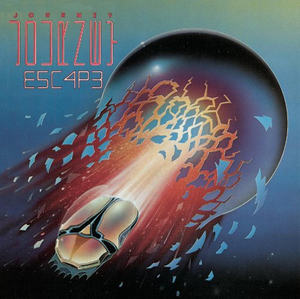 Inspiring, touching, and absolutely iconic, American rock band Journey was an instant legend during the 70’s and 80’s. By 1981, heavy rock was defined by bands such as Black Sabbath, or The Who, giving Journey the freedom to act and play as they felt necessary, and they leaned towards a softer sound. Steve Perry’s soothing voice colored lyrics with extensive imagery, such as that in “Open Arms,” “Escape,” and “Who’s Crying Now.” Jonathan Cain (keyboards, guitar, and vocals) masters the art of a haunting, high pitch, emotional solos while the keyboard (tuned to sound exactly like a piano) buzzes in the ear like a bee. Neal Schon (guitarist as well as vocals) was known to be obsessed with his guitar since he was young, wreaking havoc once he took the stage. Steve “Crunch” Smith, the drummer of the band, is classically noticed in their original album releases with a vibrant emphasis on his portion of the musical collaboration, while also balancing out the rest of the noise with the subtle overlay of both Cain and Ross Valory (bass and vocals). A screaming Steve Perry nearly deafens the audience with his clear, collective voice belting the highest notes possible. 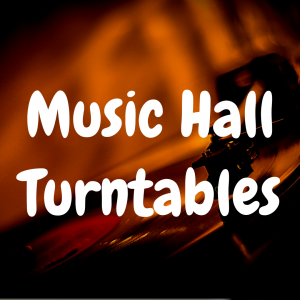 It was quite dangerous to show up to their shows with a wine glass, let alone curled up in the bedroom with one sitting beside the vinyl. “Escape” is their most successful album to date, creating a huge movement behind the band, as well as causing them to have legendary songs that still play at the Roller Rink the kids played at during high school. The band had already begun to develop mass amounts of fame and recognition from their previous works such as “Infinity,” “Evolution,” and “Departure,” causing this album to blow the roof off their reputation, making it legendary. The album covers were everywhere, as they were genius images. “Escape” has a really cool cover, showing an orb shattering as a beetle-shaped car launches into space. 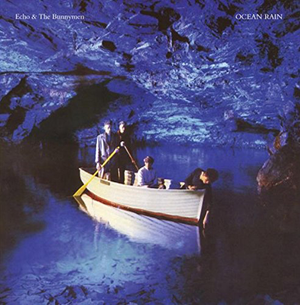 Overcome with a sequence of timeless, haunting, compelling notes cohesive in nature like ocean waves crashing on the quiet sand, Echo and The Bunnymen’s “Ocean Rain” holds a collection of melodies with obvious desperation, mimicking the essence of a graveyard’s patrons awaiting the transcendental acquisition to nirvana. Although this British rock band’s album didn’t make it very far on the Billboard 200, it did top out at number four on the UK Albums Chart for several weeks, receiving gold recognition by the British Phonographic Industry since the year of its release. The vinyl cover itself is a visual representation of the psychedelic rock age seeming to end, rowing a boat quietly into oblivion. An existential riot binding the subconscious, visceral experience of one’s pain and pleasure the depravity of metaphysical enlightenment, Echo and The Bunnymen were intentional voyagers through a spiritual crisis during social and political conflicts alike. “The Yo-Yo Man” feeds the soul reluctant of self-indulgence with blasphemous verses, creating a crisp depiction of hope lost in a sea of unattainable desires, such as all prayers hitting the ground, with no hand above to grasp them. A unique, oxymoronic presentation of statements, the band makes light of the fact that there is an excessive loss of hope, compromising his rationalization for God’s existence while singing in a positive manner within this set of verses. McCulloch carries this emotional baggage throughout the album, apparent in songs such as “The Killing Moon,” “Nocturnal Me” and “My Kingdom.” The combination of the 35-piece orchestra, Sergeant’s guitar, and Pattinson’s base is intoxicating, vibrating like a steady, rhythmic heartbeat; somewhat resembling the sounds of “Strange Days” by The Doors. Will Sergeant (guitarist) has a strange way of putting the listener at ease, especially coinciding with the harmonious orchestral sound of McCulloch’s keyboard. Les Pattinson’s underlying bass coddles the notes as to accentuate their echo in nature, followed closely by Pete de Freitas’ bass drum. Crafty wavy, stringy, banshee-like eerie riffs, this album above all the rest of the band’s reminds one of anxious, sweaty dreams, a nostalgic yet paralyzing experience, arresting our senses. McCulloch’s voice, guitar, and piano keys send a subtle sense of adrenaline and uncertainty as the haunting, reverberating hum wraps around the shoulders and sends shivers down the spine – every cell is smothered with quiet symphonies, cloaked in a single poetic verse rendered lifeless portrayed otherwise. 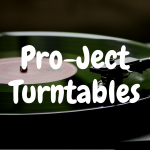 The vinyl itself plays each note evenly, not too scratchy and focuses on key components on the song – the bass, guitar, and the deep, soothing voice pouring into our ears like warm whiskey and cream. The otherworldly nature of this album makes it a perfect playlist to listen to while lying in bed, looking at the ceiling with wandering thoughts. 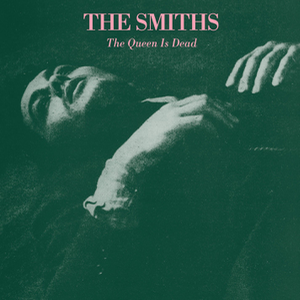 While these songs by The Smiths are explicit yet whimsical, “The Queen is Dead” is known for the glamorous guitar blooming in the ear with a sound of a folk guitar wavering back and forth in a dream. The guitar is light, delicate, and almost sings with a consistent high note slathered in bass and Morrissey’s overpowering voice. This non-constrictive, playful rock sound was signature to The Smiths. It was apparent after this album exactly how much their creativity has progressed in terms of courageousness and vocal range. The utmost talent of Johnny Marr (guitarist), alongside Andy Rourke (bassist) and Mike Joyce (drummer) play a huge role as well, as they all play off one another. Their classic hit, “There Is A Light That Never Goes Out” genuinely hits home with the unprecedented revolt against constant desperation. Morrissey & Marr wrote a daydream, a frantic slideshow of moments that he grasps onto when he finds that life has changed. Notice, as Morrissey shifts his requests to die beside her, the music is lovely, flowery, the acoustic sounds and the humming of a bass, a flute singing as a bird would throughout the title of the song being repeated about eight times. “I Know It’s Over” has a slow bass line that replicates that of a slow, irregular heartbeat; only a few notes at a time down each vein. Gorgeous riffs sounding as if the guitar is made of tulips, a quiet plucking of a trance-like acoustical sound coming from pedals tapped by a Joyce. Morrissey sings of a man losing a woman he treasured more than life, yet he sabotages himself by submitted to his ego rather to her. The strong sense of symbolism creating parallels between death and the break-up is carried throughout the song, yanking at one’s heartstrings as they realize what a tragedy an instance like this would be. This gorgeous album, “Starfish,” was brilliantly written for many different reasons. Considering the men who wrote the album are from Australia, it was a shock that it had blew up within the alternative rock scene in the United States so quickly. Listeners recognized this genuine item written with deep, emotional intent to describe feelings of utter despondency as a tribute to our emotional sorrows; rather than a cheap trick to make money, the public was astonished at this amazing shift in sound within rock music. 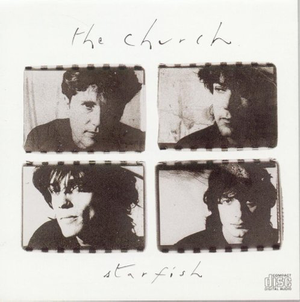 The Church consisted of four main members, utilizing many different instruments, such as Steve Kilbey (bass and vocals, Peter Koppes (guitars and vocals), Marty Willson-Piper (guitar and vocals), Richard Ploog (drums and percussion); in addition, a few musicians who would chime in occasionally such as Greg Kuehn (keyboards), Russ Kunkel (drums and percussion), David Lindley (mandolin), Waddy Wachtel (backing vocals), and an “Awesome Welles” (synclavier). With such bands like Bullet for My Valentine, The Smiths, and The Cure giving rise in this decade utilizing a crazy amount of sounds and pedals, it was certainly refreshing to encounter a simple, concise, well-rounded album without redundant, mechanical sounds. As they had moved towards a more folk-pop psychedelic rock sound, it seemed clear that the band had a solid equation to balance the psychedelic nature of their soft rhythms. The soothing essence of psychedelic rock has a nostalgic place in our culture’s heart due to popular bands between 1950-1979 changing the sound of rock, such as Cream, Pink Floyd, Jimi Hendrix and the Experience, The Doors, Led Zeppelin and so forth. An iconic album from start to finish, the ravishing English rock band known as The Cure closed the 80s with the unforgettable release of “Disintegration.” Responsible for the legendary white face smeared with red lipstick and liner, fading into a shadow surrounded by butterflies, this album cover alone is recognizable by almost every single person from this decade. “Pictures of You,” timeless tale of heartbreak told in just over seven minutes with vigorous vivid, crisp, poetic lyrics. The extensive musical breaks seem extremely necessary to process the breathtaking description of the one he used to love an angel’s dream screaming into the night under heavy rain. Heartbreak is exceptionally challenging to handle, and at any rate, it seems that Robert Smith found a beautiful way to encapsulate the everlasting appreciation of his soulmate’s presence. A song oozing of reminiscence, longing for snow white skin to warm his fingertips, paralyzed by the memories captured on old film, Smith evokes unintentional emotional distress by having one picture what a loss this intense would feel like. Other songs such as “Lovesong,” “Lullaby,” and “Disintegration” have enthralling drumming periods by Boris Williams, incredible synthesizing sounds from both the keyboard and the pedals of Smith and Robert O’Donnell, connected with the guitars and bass to have an illustrious shoegaze effect covering most of the tracks. “Lullaby” stalks the senses with slow, rhythmic beating on the drums, as Smith whispers the thoughts of a lonely child undergoing sexual abuse in the night by a slithering spider-like man. With Simon Gallup’s bass, the keyboard, and the high notes plucked from Port Thompson’s guitar managed by six pedals, the band haunts quiet dreams with brilliantly written with euphemisms cloaking the helplessness of a child who is molested every night. 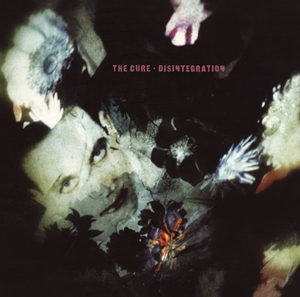 “Disintegration” is a phenomenal album, soaked in metaphysical symphonies, meticulously crafted to the perfect degree. Every line carries the essence of an individual’s personality, impressing the public with well-crafted poetry about actual issues like abuse, a sense of feeling lost in the world, heartbreak, to eternal love. Although it is questionable to add this album due to the nature of the sounds, it belongs here with soft rock as this particular album seemed to influence the sound of a variety of rock bands, starting with Slowdive’s “Souvlaki” released shortly after in 1991. 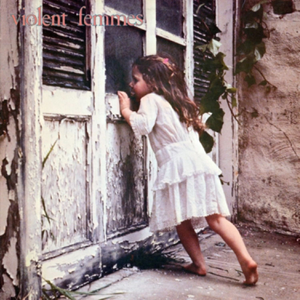 Featuring a little girl peeking into the window of an old farm, American band Violent Femmes’ self-titled album cover was rustic, exuberating innocence. Though being ironic with content being blasphemous, raunchy, and a bit sarcastic, the folk-rock, twangy, quick-plucking jams crawl up one’s skin like a bad habit. Gordon Gano wrote a majority of these stressful songs while he was in high school. Brian Ritchie describes in an interview with their local T.V. show “At Twelve” in Milwaukee, Wisconsin the name being “Violent Femmes” due to a femme being a sissy or a pansy, directly contradicting with the word violent preceding it. The lyrics are so exciting, such as “Add It Up” screaming about getting pissed with the lack of sexual intimacy with someone he’s dying to shag. Not only that, but “Blister in the Sun” talks heavily about using heroin, such as the crazy side effects such as body fluids all over the bed. Victor DeLorenzo makes up for most of the grungy folk-punk sound by using a snare drum, tranceaphone, and drums. Ritchie uses a few instruments such as a xylophone, acoustic and electric bass guitars while shouting vocals from the background. The entire album is well written and concise, though it isn’t meant to be intellectual – the music is raw, true, and unapologetic. 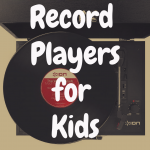 Other major hits on this album include “Kiss Off,” “Gone Daddy Gone,” and “Please Do Not Go.” This disc was a bright blue colored vinyl record for a limited time, creating a rare collectible for fans. A sweet collection of melodies that British rock band Queen settled on when they decided to experiment with a solid rock sound. Queen was quite literally changing the game of the music industry, completely removing the blues sound from their hard rock sound. The variety of sounds within this gem hold a creative balance of ballad-like anthems, rock, jazz, and pop. “A Crazy Little Thing Called Love” takes the listener back to the days of Elvis Presley, with a bluesy plucking of the bass, and a quick, jazzy uplifting guitar riff emulating the energy of the old’ “Jailhouse Rock.” Not only that, Queen stays true to their signature technologically enhanced music by using synthesizers for the very first time, while maintaining speedy drums. Freddie Mercury’s voice is absolutely astonishing and has shocked the public ever since he hit the stage. Vocals warm and welcoming, masculine with a hint of feminine energy – Mercury makes the mind reel as nerves absorb all the vibrations set off by one mind-boggling shriek. The music is so theatrical, it seems like they are putting on a very elegant, elaborate Broadway show. With this album came an absolute hit, “Another One Bites The Dust,” which undeniably played on every radio unintentionally a couple thousand times during the 80s. In addition, “Save Me” was legendary – an explosive anthem, where Mercury absolutely demolishes the track with his piercing vocals that ring back and forth in one’s ears for hours to come. Accompanied by John Deacon’s quiet base, Roger Taylor’s heavy drums, and a beautiful piano symphony as he sings between the chorus, with immense power behind what sounds like an anthem. Like their previous hit “We Are the Champions,” this song builds up in tempo and intensity, causing the listener to truly hear the will and pain in his pleading. A solo of electric, Spanish, and bass guitars all hum in preparation for a gorgeous, high pitch electric guitar solo by Brian May, after Mercury screams at the top of his lungs. “Save Me” was an outstanding testament to the band’s virtue as musical scientists, fusing sounds and verses together to match their standard of what is great music. 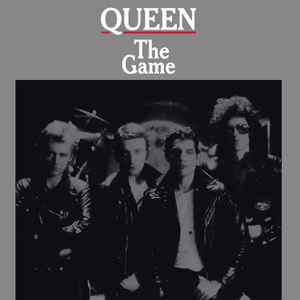 Though the album sold in the U.S. phenomenally, making the song hit number one on the Billboard 200 chart, the coolest part about the vinyl LPs of “The Game” during 1980 was the fact that it was released a grey vinyl test pressing for a short time period of time over in Israel. Nowadays, it is a rare treasure, even with the internet around. There are several sites explaining the rare qualities of the album, though none really give more information as to get a copy. If one EVER comes across this rare vinyl record, they shouldn’t think twice about investing in that bad boy! American rock band Fleetwood Mac released their most innovative album, “Mirage,” wanting to evangelize the essence of human spirit once more by helping the listener relive all feelings of euphoria, innocence, and heartbreak. 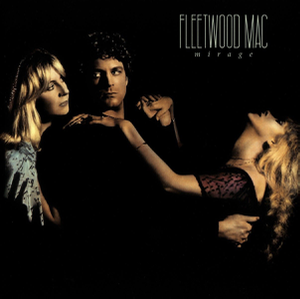 Recorded in the acoustic fortress of the Château d’Hérouville on the outskirts of Paris (which has been the workshop of great musicians like The Grateful Dead, Bowie, and Elton John), Fleetwood Mac spends their time away from society writing this work of art called, “Mirage” in 1982. Each room’s functionality was unique for certain vibrations, such as rooms that served strictly as “echo chambers,” meant to create a hypnotizing melody reverberating against wooden walls that captivates an individual, rather than raising the hairs on their back out of fear. Like vanilla warming the air from an autumn candle, playful bells chime back and forth like a young child playing the xylophone with much practice and excitement with perfect harmony as the guitar strums a casual, consistent beat. “Mirage” wasn’t an album that had a chance to crackle longer than five seconds before flipping it to Side B. In fact, this wasn’t just any album, for it wasn’t just music – this was a sacred ritual performed for the world, one in which the band members felt it necessary to awaken our deepest desires by exposing their own. There isn’t one song that the audience recognizes as lazy, as every single note was beautifully orchestrated to bring the listener back to places such as being seven years old – gripping their pillow with sweet dreams of dancing with roses in their hair and their mother in the sky. “Gypsy” was a tale of freeing the soul with the everlasting quality of Nicks’(vocalist) and Lindsey Buckingham’s (guitar and vocals) youth; a relentless journey into the vast unknown without fear, nor regret. In every sense a gypsy, Nicks describes to Entertainment Weekly decades later how this bohemian lifestyle she shared with Buckingham before Fleetwood Mac proves to be one of her most treasured times in their relationship. With only tips and steady paychecks as a waitress and maid, Nicks would come home to the comfort of their king-size mattress flat on the ground covered in vintage lace and a lamp at eye level, next to her on the floor. 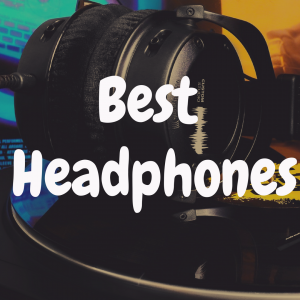 The sound of the song is mesmerizing, a gentle consistent drumming while an indie guitar plays stringy riffs in accordance to the piano’s lead. The soul finds comfort in places offering warm images of crisp simplicity, and Nicks held no reservation while reminding the listener where her heart travels in times of sorrow – a vintage bed warm with love at the bottom of the world. Christine McVie (keyboard and vocals) described this as her favorite song on the album, as every take proves to be timelessly written with beautiful lyrics. It’s amazing to piece together the symbolic imagery throughout the piece as well. Considering a hiatus that following a nasty display on stage between Lindsey Buckingham and Stevie Nicks after the band’s “Tusk” in 1979, the band had many emotions to face as they decided to run away to the outside of France to record an album piecing together bits and pieces of their lives that made them feel whole. Although Fleetwood Mac had many hit albums in both the 70s and 80s, this album stands alone due to the colorful mix of instruments and the fascinating history behind each song. Deeply inspired by distant memories desperate for revival, Nicks, Buckingham, Mick Fleetwood (drums and percussion), and both John (bassist) and Christine McVie’s push the boundaries of their potential as they practically blow “Rumours” right out of the water with a brand-new standard for themselves. The shift in the soft rock movement had little effect on bands with strong charisma and a unique charm, such as Queen, Fleetwood Mac, Journey, and so forth, as soft rock bands such as these presented a classic rock sound with their own signature vocal virtuosity and well-versed poetry. It’s hard to find rock bands such as those produced in the 80s with such strong, powerful emphasis on bass, drums, experimental guitar styles, and of course, a belting voice recognizable for centuries thereon, yet Echo & The Bunnymen will echo in dreams for several nights. Violent Femmes sound fantastic on vinyl, as well as vibrating through car doors. The 80s brought about shaky new rhythms and revolutionary albums that will continue to shape the structure of the music industry. 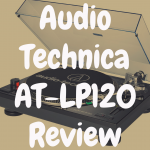 If you enjoyed reading this article, please check out our Devoted to Vinyl Facebook page. We hope to see you again. What Are the Best Christmas Vinyl Records to Buy?